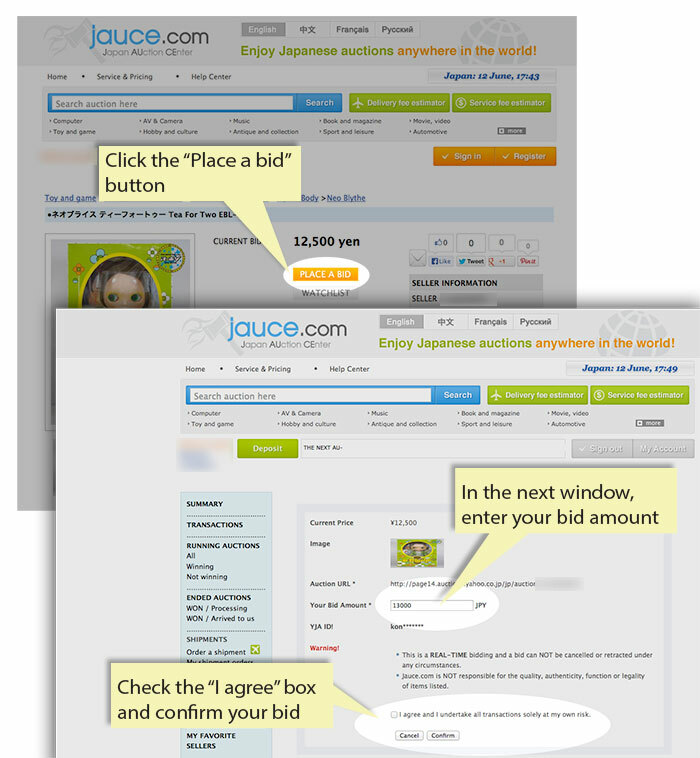 You can proceed to bidding by using the "Place a bid" button in the auction detail page (login required). Once you click this button, you will be taken to the confirmation screen. Enter the maximum amount you are willing to pay for the auction and submit.